Discover how to supplement your income using the forex market in minimal time. 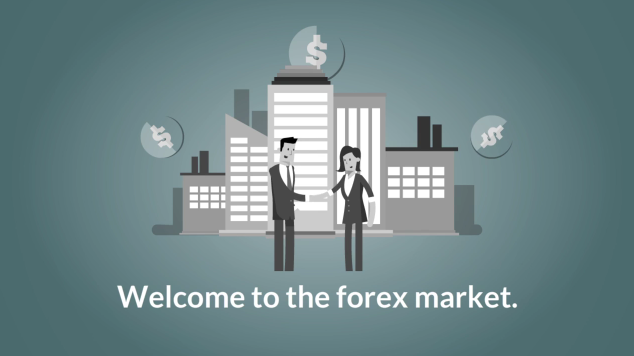 You do not need to know how to trade forex to take this course. Learn how inside. Students of this course get access to our money back guarantee and lifetime access. Want to learn how to supplement your income using forex? Could you use an extra $500 a month? Well that’s exactly what I’m going to show you in this course. I am going to teach actionable setups that you can implement right now to supplement your income by trading the forex market in your spare time. I am a retail trader just like you who started trading forex back in 2007. My introduction into the forex market came when I met a hedge fund manager who traded equities, commodities, futures, and forex. Glancing at his trade platform with his screens, charts, and quotes, looked quite intimidating, however, he let me in on his secret. From that point I made a commitment to learn as much as I could about trading forex. Since then I have invested many years into learning the education, psychology, and most importantly the skill of live trading. Now I help beginners just like you learn to trade the forex market. This trading course represents many months of development and is a culmination of the trading knowledge I have gained in both trading and in helping others over the past 7 years. My goal is to share with you how you can learn to trade forex for yourself, and to condense many years and thousands of hours of learning into an actionable course to help you achieve your goals. I am here to share with you all of the information I wish a knew back then. Simply put, this is the course I wish I had starting out! If you have been looking for a way to earn additional income in your spare time, then this is the course for you! By the end of this course you may not be cast to play a role in a hit Wall St movie, but you will learn how to trade the same types of financial instruments that they do to earn your own extra money. A get rich quick scheme. You will need to learn and develop your skills just as you would when learning anything else and this will take some time. Can I guarantee that you are going to earn an additional $500-$1000 every month? Ofcourse not. There are too many factors involved and that will largely depend on your dedication and skill level. What I can guarantee is that you will have the basic building blocks necessary to begin creating your own strategy for earning extra money trading forex starting today. So let’s not waste anymore time. Enroll now and let’s get started!